HASK offers a progressive set of skills courses designed to meet the needs of sea kayakers ranging from beginning paddlers to those with several years of experience. 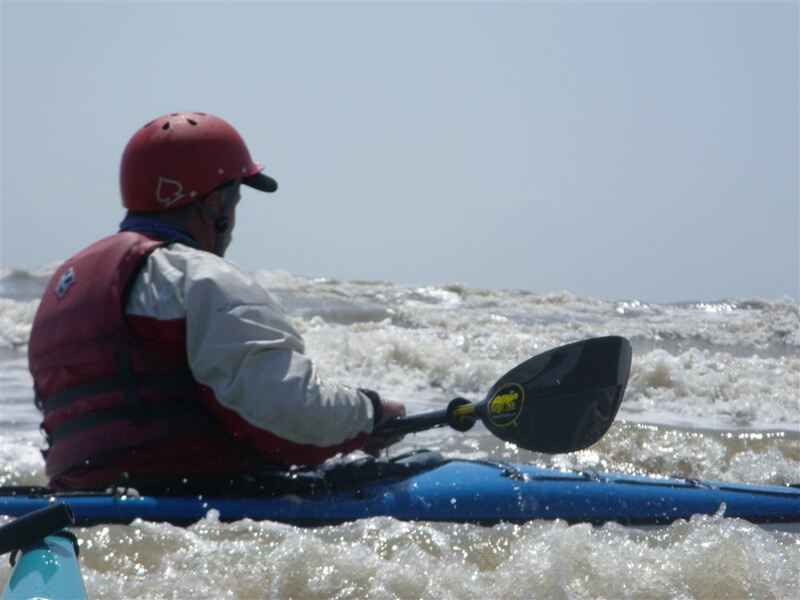 Our training focuses on the sea kayaking skills required to paddle the club’s typical paddling locations on the Texas coast and inland water bodies. This includes large rivers and lakes, bays and bayous, surf, and open water. We offer training in flatwater locales that allows members to build skills in a very controlled environment, and practice sessions on more textured water. Click here to see a YouTube video showing photos from recent rescue training classes. It’s our goal to make training enjoyable: points of paddling style are not prioritized above student enjoyment of training. The primary objective is a happy student with safe and effective strokes. We want members to proceed at their own pace, and to learn skills and succeed before moving on to the next level. HASK training is offered primarily to HASK members and is promoted via the club events calendar. Club training is provided both internally, by American Canoe Association (ACA) or British Canoeing trained instructors, and externally through ACA certified 3rd parties. Visit our Links page to find information about 3rd party trainers. Members under 14 years old may participate in club training with a parent or guardian present. Guests may sign up for a course if there are vacancies after members have had the opportunity to enroll. HASK is not specifically organized to train special needs paddlers. However, we have contacts within the Houston area paddle sports community who can help special needs paddlers with adaptive paddling training. One good resource is Texas River Runners. Their website can be accessed from our Links page. “Surf training is one of the reasons I joined HASK. The table below outlines the types and typical locations of HASK on-water training courses.